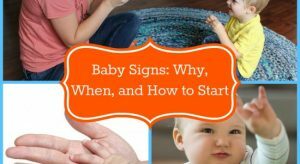 If you have a crib you are no longer using than you most likely have a crib spring lying around. 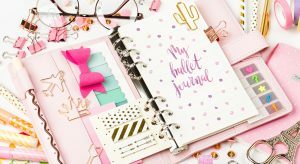 Repurpose it in a fun and creative way! When the having babies chapter of your life comes to a close, it’s time to clean out the baby gear. Often the crib is the first thing to go. But before you throw it in the donation pile, consider repurposing some of its components. The crib spring is actually a very versatile piece that can be used in a number of ways. Here are 6 of our favorite ideas. Give the crib spring a quick coat of spray paint, and suspend it from the ceiling. 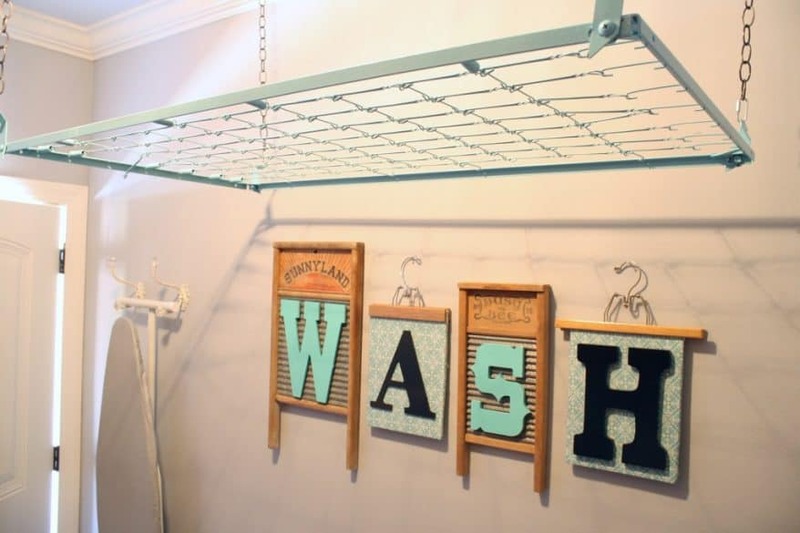 Now you’ve created a unique and function drying rack for your laundry room. The crib spring is great for outdoor use because of its durable metal construction. 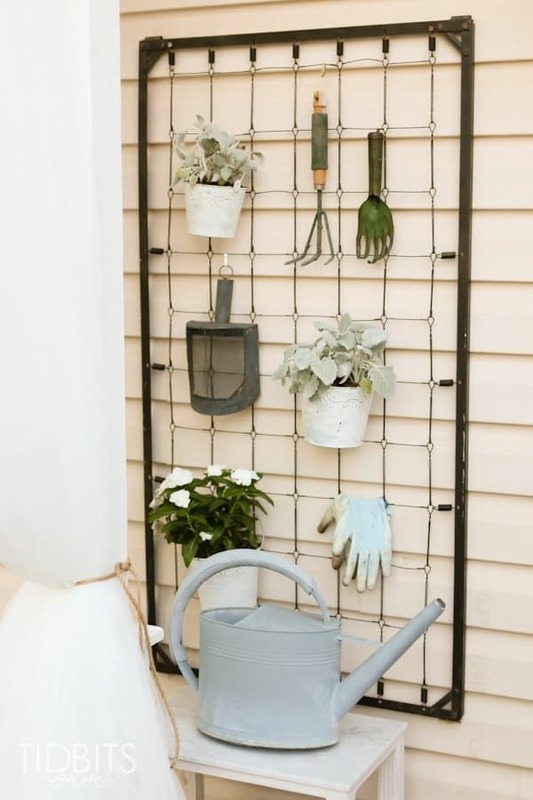 We love this idea of using it to hang garden tools and potted plants. Combining a crib spring and a string of bulb lights is a genius move. Simply hang the crib spring from the ceiling using chain link and hooks, and weave the string lights throughout the mattress spring. 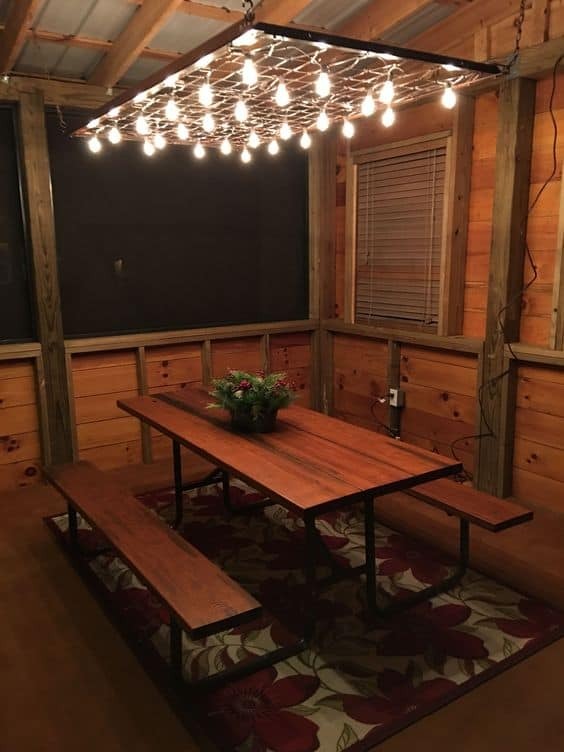 The result is a one-of-a-kind industrial light fixture that will add rustic charm to your deck or patio. Hang the crib spring above your desk to use as a substitute to the bulletin board. 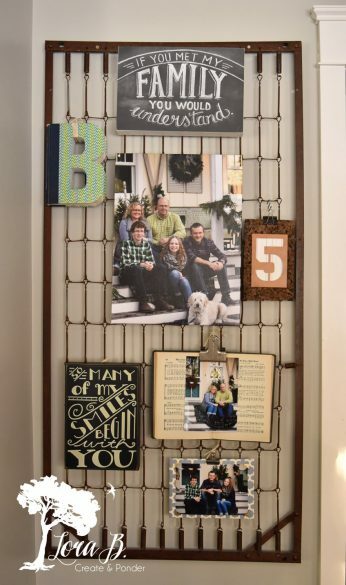 Use clothespins to hang inspirational artwork, notes, and photos. Sick of framed gallery walls? The crib spring can also be used in the living room or family room as a family photo display. It creates a unique focal point and allows for versatility in the arrangement. The springs from your crib also lend itself perfectly for craft storage. 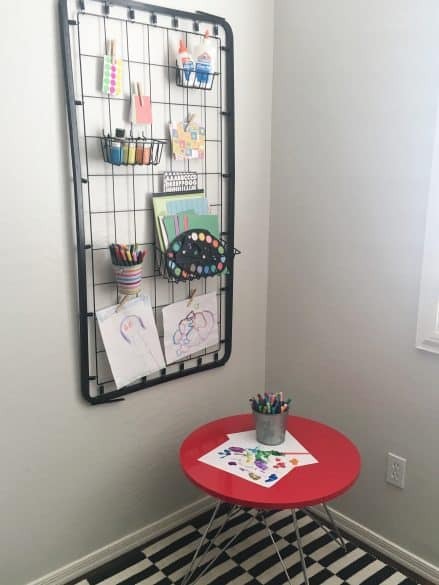 Use zip ties to hang baskets or buckets to hold glue, paint, markers, or anything else those little creative minds might need. Plus, when their masterpieces are finished you can display them on the crib spring as well.